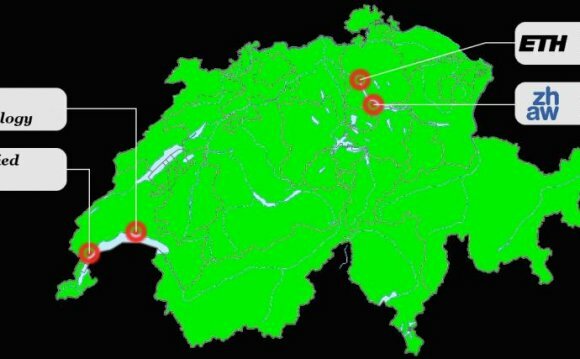 The majority of students in Switzerland complete compulsory education at a state school in the municipality in which they live. Roughly 5 % attend a private school. State schools play an important role in integration. Children who have different social, linguistic and cultural backgrounds all attend the same school. Responsibility for compulsory education lies with the cantons. Schools are run by the local municipalities. Because education is locally rooted, tailor-made solutions can be implemented. Attendance of state schools is free of charge. Duration of the different levels of education: The total compulsory school period amounts to eleven years. Primary level  including two years of kindergarten or a first learning cycle  comprises eight years. Lower secondary level takes three years. In the canton of Ticino, lower secondary level (scuola media) lasts for four years. Generally, compulsory education sets in for children at the age of four. In a few cantons of German-speaking Switzerland, there is no obligation to send children to kindergarten, or only an obligation of one year. Nevertheless, the vast majority of children in these cantons attend kindergarten also for two years. In several German-speaking cantons, municipalities can choose to run a first learning cycle (called 'Grundstufe' or 'Basisstufe'), which combines kindergarten and the first one or two years of primary school. In this organisational form, four to seven or eight year olds are taught together in the same class. In French-speaking Switzerland, the two kindergarten years are usually included in what is called 'cycle 1' or 'cycle primaire 1', which lasts for four years. In addition to the two compulsory years of kindergarten, the canton of Ticino offers an initial, voluntary year for children from age three. At lower secondary level, pupils are taught in all or some subjects in performance-based groups. Different organisational forms apply (e.g. separate classes or joint classes with separate teaching of certain subjects). Languages: The language of instruction is German, French, Italian or Romansh, depending on the language region, though Romansh-language municipalities represent a special case. Traditionally, language learning has an important role in Switzerland. Students learn a second official language of Switzerland as well as English during their compulsory school years. Intercantonal or national legislation generally forms the basis for the education on offer in the area of post-compulsory education (upper secondary level and tertiary level). The cantons are responsible for enforcing this legislation and for the organisation of the schools. The only exceptions are the Swiss Federal Institutes of Technology, which are in the charge of the federal authorities.